The eparchy of Irinjalakuda was erected by bifurcating the ancient Eparchy of Trichur by the Bull ?Trichuriensis Eparchiae? of H.H. Pope Paul VI on 22nd June, 1978 and Mar James Pazhayattil (Puthenchira) was nominated the first Bishop. 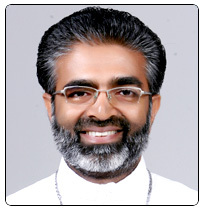 The Eparchy consists of the southern part of the former Eparchy of Trichur, namely, from the Karuvannur river and the Kurumaly river on the North and to Chalakudy river on the South. The Eparchy of Irinjalakuda covers an area of about 1180 Sq. K.m and has at present 48,932 families with a population of about 2,58,101 Catholics spread over its 10 protopresbyterates : Irinjalakuda, Chalakudy, Ambazhakad, Puthenchira, Edathuruthy, Kuttikad, Mala, Parappukara, Kalparambu and Kodakara. This eparchy is blessed by the footsteps of St. Thomas, the Apostle, since it contains Kodungallur, which is the cradle of Christianity in India. 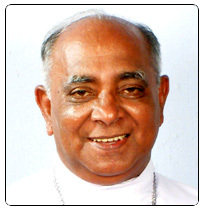 Mar Pauly Kannookadan is the present Bishop.